A good friend of mine practices vegetarianism on on schedule. Tuesdays, if I recall correctly, are one of his non-meat days. At my house, as you might have noticed from the collection of recipes that I have shared thus far, more often than not, plates are based on vegetarian tradition. I often try to expand the Mediterranean diet, with vegetables and grains that are more traditionally used in middle eastern cuisine. Of course , my view of the Mediterranean diet. 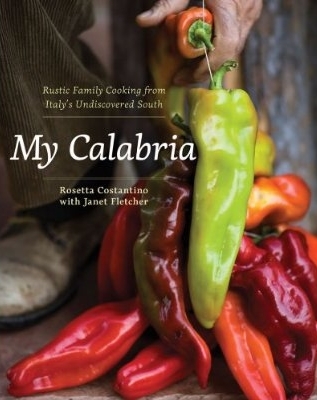 is slightly biased: southern Italian, Spain, Provence, Greece and insular Southern Europe are my focal points. 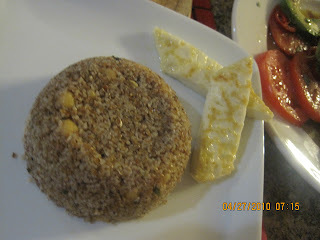 Bulgar wheat , in my view is one of the best tasting grains you can find. Bulgar wheat has a natural nutty flavor and aroma that by itself, often needs very little else to complement it. Here it was mixed a very small amount of sauteed vegetables and herbs. There's one more point worth noting. Bulgar wheat takes literally no more than 10 minutes to make. Think of it as pre-cooked. To prepare it, you simply have to add a few cups of boiling water and wait until it the cracked grains absorb the water. Then you mix, and fluff up with your favorite sauce or mix of vegetables. Goes well with a zesty tomato and avocado salad. The fried Mexican cheese sticks are equally easy and fast to make. Just buy, cut and fry the cheese. For this dish , do not over fry the cheese. Remove it from the pan , after it acquires a lite brown crust as shown in the photo. So where can you find, Mexican frying cheese? Most major supermarkets carry some form of frying cheese.